Answer: Microchanneling is the use of small needles to perforate the top layer of skin. By doing this, the skin stimulates fibroblasts to enhance the natural collagen production. A serum is applied that is full of growth factors and anti-inflammatory bio signals for positive regrowth. 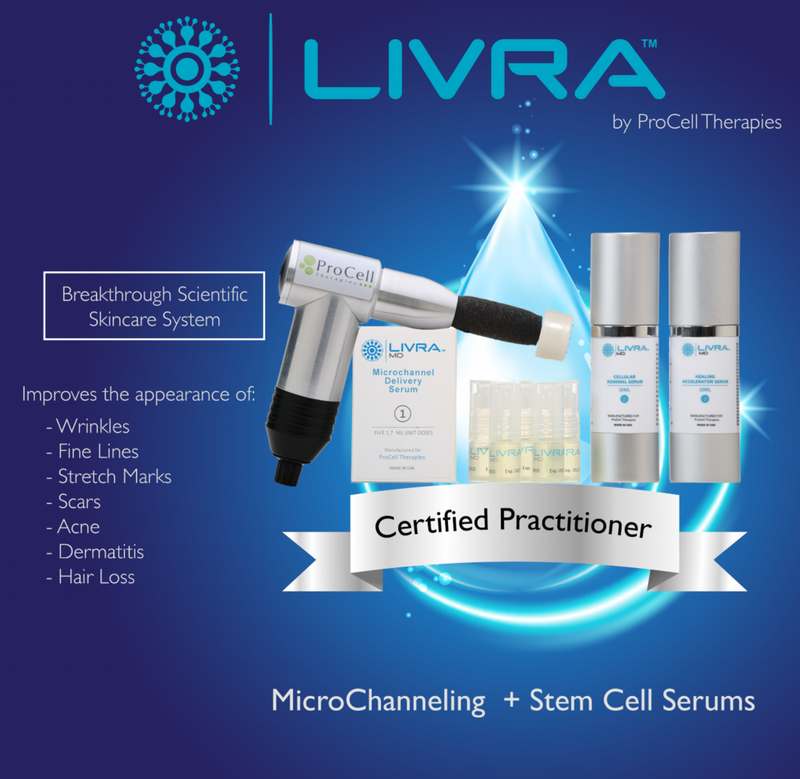 Question: How is it different than microneedling? Answer: Microneedling such as a pen or roller relies on creating damage to dermal tissue to trigger tissue repair. Microchanneling stimulates a more effective rejuvenation with less damage to the skin. Question: What comes with the treatment? Answer: This treatment includes the microchanneling service with a growth factor serum. Question: How many will I need? Answer: Number of treatments ranges on what is being treated. For deeper wrinkles and acne scarring, four to six treatments may be required for desired results (see packages). Question: How long is the down time? Answer: After treatment, you may experience some redness and dryness which is normal. You must wait ninety minutes after treatment before applying anything to the skin.